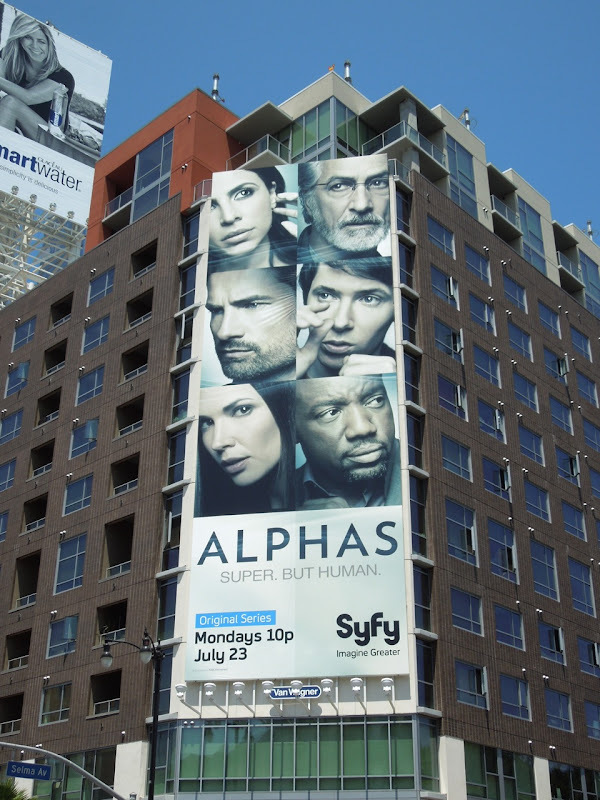 Fans of superheroics and sci-fi rejoice, Alphas is returning for its sophomore season. 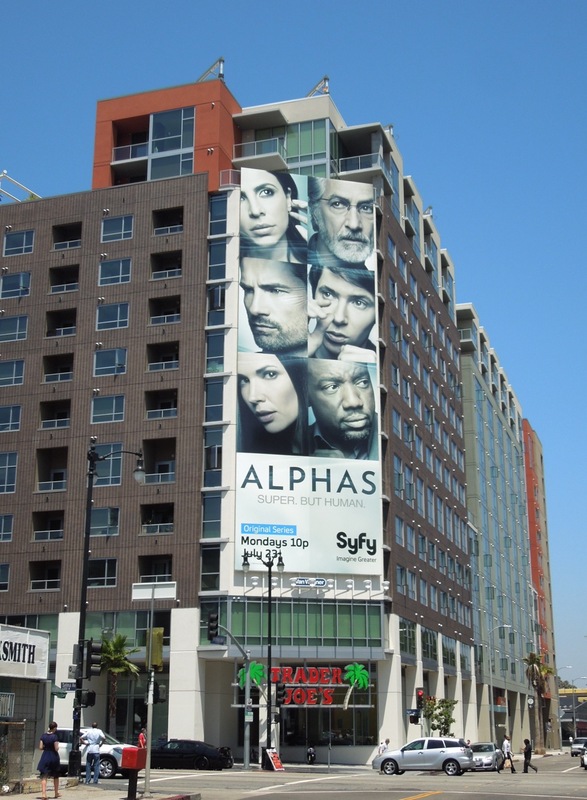 Alphas has nothing to do with Marvel Comics Canadian super-team 'Alpha Fight', but does owe a lot to another super-powered TV show, Heroes, although this series is much more realistic and gritty in execution (probably with a much smaller budget too). 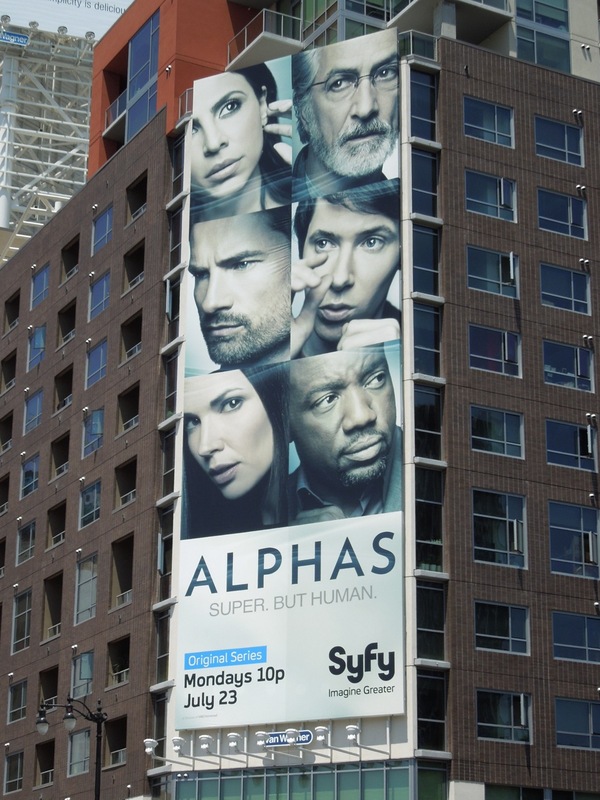 At the end of the first season, 'Dr. 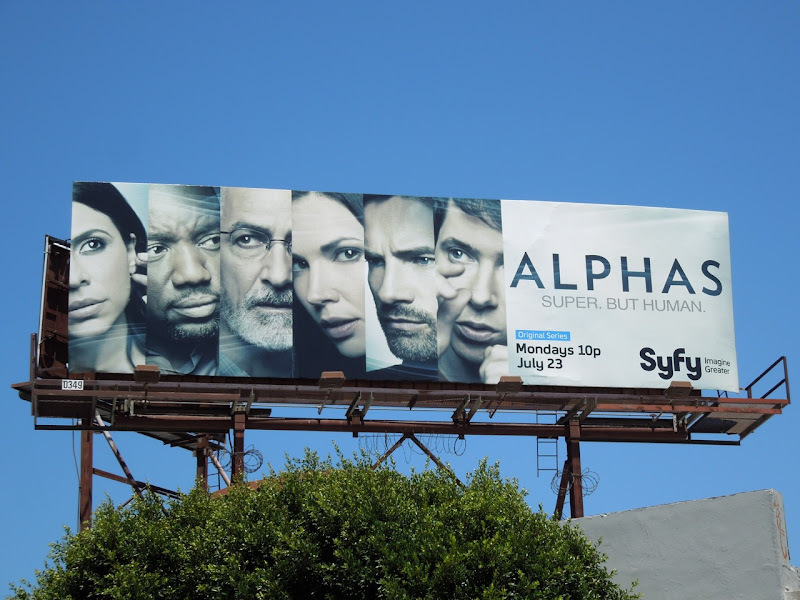 Lee Rosen' revealed the existence of human beings with enhanced abilities or 'Alphas' to the rest of the world, so it will be interesting to see where the second season will find him and his team of troubled super-powered operatives. 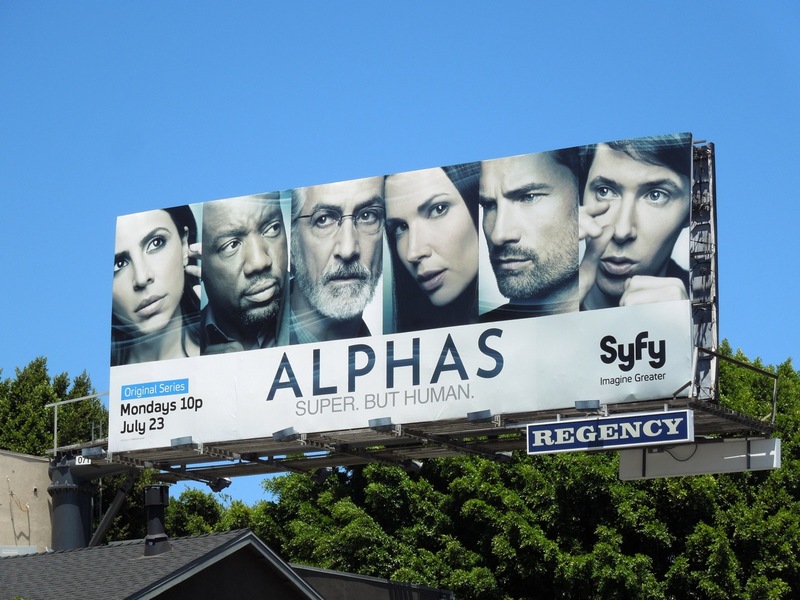 It looks like they'll need all their powers of enhanced senses, agility, strength, persuasion and the ability to process information at uncanny speeds, to survive in this brave new world. 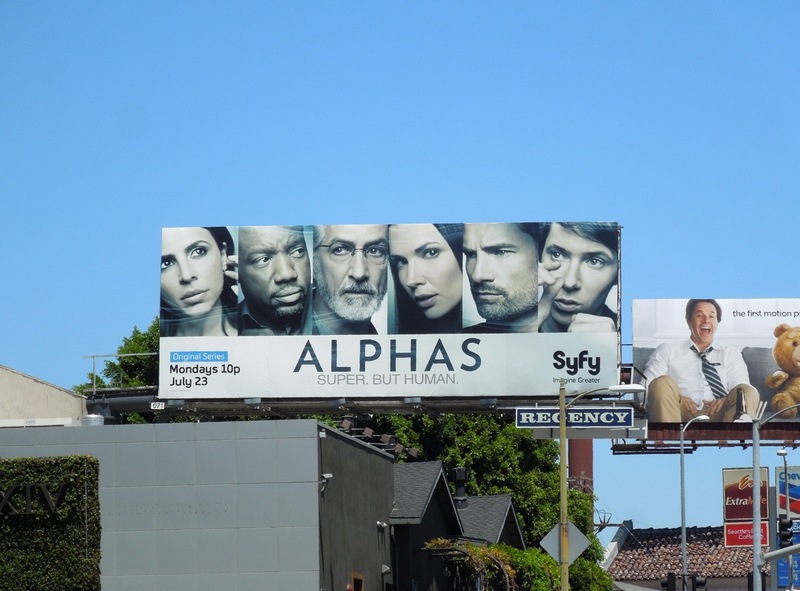 These striking white season two billboards look great around L.A. with their spotlight on each of the show's main characters (the autistic 'Gary Bell' being a Daily Billboard favourite), from the extra-large version near Sunset & Vine in Hollywood snapped on July 2, to the standard landscape ad spotted along Sunset Boulevard at Crescent Heights Boulevard on June 28, 2012. 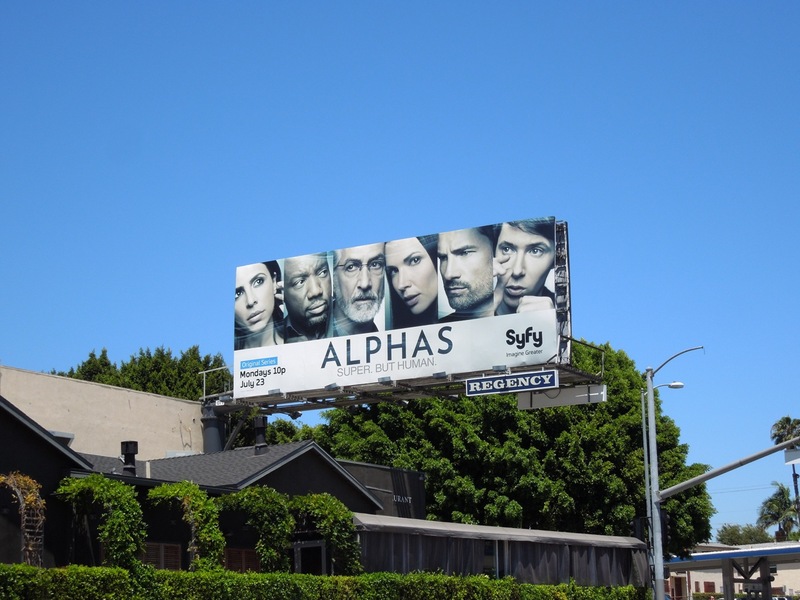 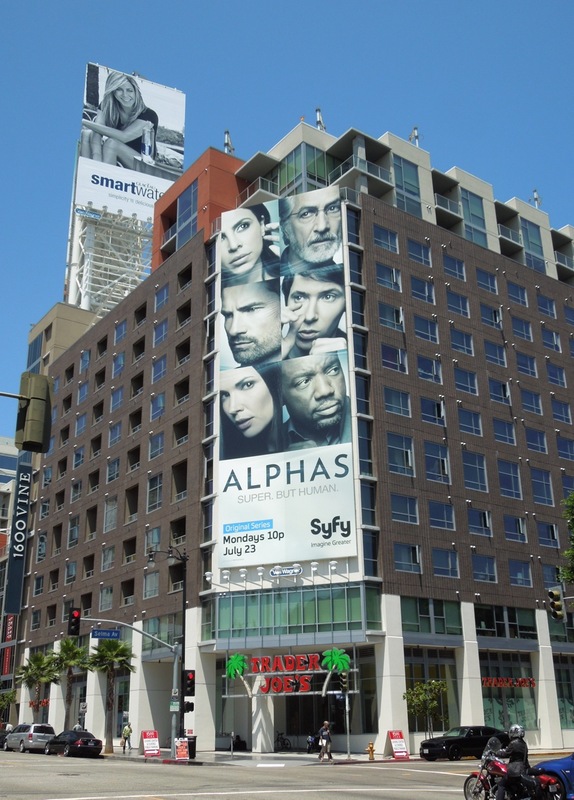 If you're a fan of the Syfy series, be sure to also check out these Alphas season one billboards. 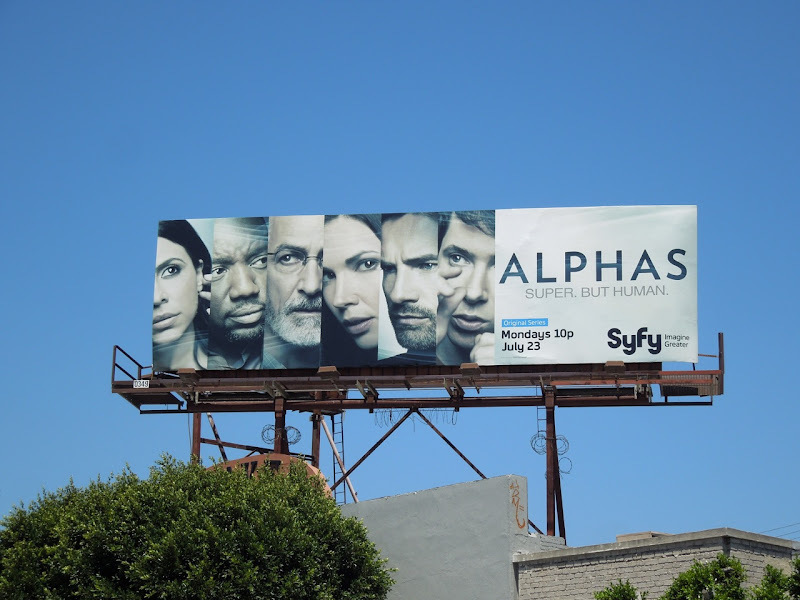 UPDATED: Here's another slightly different version of the landscape billboard snapped along La Brea Avenue just south of West 6th Street on July 16, 2012. Which creative do you prefer, with ALPHAS underneath or to the right-hand side?